We are a family owned winemaker with just under 2 acres planted in the Stag's Leap district. We grow Cabernet Sauvignon, Merlot and Cabernet Franc. Our first vintage was 2004 although the vineyard is almost 24 years old. 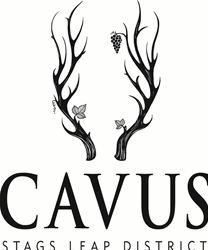 We love big, fruit forward wines and that is what you have in Cavus. Dave Phinney (The Prisoner, Mercurey Head) has been our winemaker from the start of this venture.